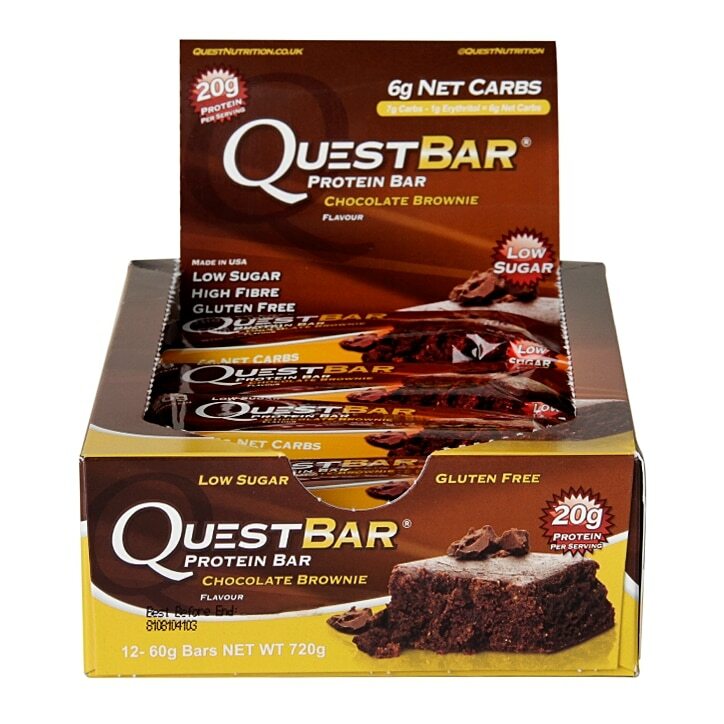 Quest Protein Bar Chocolate Brownie is rated 3.7 out of 5 by 3. Rated 3 out of 5 by SweetRose95 from Very chewy. Although this bar tasted half decent, the texture was atrocious. It was a tough, chewy and slightly powdery bar. Rated 5 out of 5 by Blonde33 from Definitely the best flavour If you are after a protein bar that tastes great and has a high protein content this is the one. Definitely the best flavour of all the quest bars. Only criticism is the click and collect service when ordering them - I did not get notified they were in store and when I called in to the store to check they had already arrived.